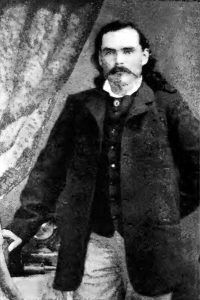 William “Billy” Dixon (1850-1913) – Scout, plainsman, buffalo hunter, and Indian fighter, William “Billy” Dixon was born in Ohio County, West Virginia on September 25, 1850. Of European and Native American ancestry, he was orphaned when he was just 12 years-old and sent to live with an uncle, Thomas Dixon, in Ray County, Missouri. In the fall of 1864, he took a job working as a woodcutter along the Missouri River and later went to work for a government freight contractor in Kansas as a bullwhacker and muleskinner. In 1866, he quit working that job briefly and went to work on the McCall family’s farm near Leavenworth, Kansas. While working in this capacity for about a year, it would be the only time in his life that he would obtain some formal schooling. He then returned to working for the freight contractor until November, 1869. He then joined a group who were hunting and trapping on the Saline River northwest of Fort Hays, Kansas. As a skilled marksman, Dixon was successful as a hunter. At that time, buffalo cow hides were selling for $1 each and bull hides were $2. With a portion of his profits, Billy invested in a ranch supply store; but, it would be short-lived. In 1871, while Billy was away, his manager sold out and departed with the proceeds. Billy returned to hunting buffalo, sometimes having 4-5 hunters/skinners working for him. By 1872, Billy had made his way to southwest Kansas, at a time when Dodge City was just getting its start. With the Atchison, Topeka & Santa Fe Railroad arriving in Dodge City, the same year, the town soon became the buffalo capital of the west. In fact, the town was first named Buffalo City until the founders discovered there was already a town by that name, so it was changed to Dodge City, after the adjacent fort. During the fall and winter of 1872 and 1873 there were more hunters in the country than ever before or afterwards. This was the beginning of the high tide of buffalo-hunting, and buffalo fell by thousands. Buffalo hides towered along Front Street awaiting shipment, and filthy buffalo hunters and traders filled the town’s establishment. It was at this time that the term “stinker” was coined. More were killed that season than in all subsequent seasons combined. Dixon estimated that some 75,000 buffaloes were killed within 60 or 75 miles of Dodge City. On one occasion, Dixon and his men loaded up their hides and headed for Dodge City, where they got from $2.50 to $4 a piece, the highest price he had ever received. With the buffalo already thinning in the area, Dixon began to scout in Texas, as far south as the Salt Fork of the Red River. In 1874, he and several other buffalo hunters, along with a few businessmen from Dodge City, Kansas, established a camp and supply post near the South Canadian River about a mile and a half from the remains of the old Adobe Walls trading post. The first trading post had been established in about 1843 by William Bent, but, it was abandoned after numerous Indian raids and the First Battle of Adobe Walls in 1864. 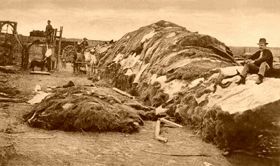 By the end of spring, 1874, some 200 to 300 buffalo hunters roamed the area, and trade at the “new” Adobe Walls was booming. It was said that after the spring buffalo migrations occurred, Dixon could shoot enough buffalo to keep ten skinners busy. However, the new camp would not prosper for long. Of those Indians that remained in the area, they correctly perceived the post and the buffalo hunting as a major threat to their existence. In the spring, the Indians held a Sun Dance, where Comanche medicine man, Isa-tai, foretold a victory to the warriors who participated in a battle to rid the buffalo hunters. Early in the morning of June 27, 1874, a combined force of some 700 Comanche, Cheyenne, Kiowa, and Arapaho warriors, led by Comanche Chief Quanah Parker and Isa-tai, attacked the buffalo camp at Adobe Walls. Afterwards, Dixon did no more hide hunting. He soon made his way back to Dodge City and in early August,1874, General Nelson A. Miles enlisted his services as a scout in a detachment commanded by Lieutenant Frank D. Baldwin. In September, the group was on McClellan Creek in present day Gray County, Texas when General Miles sent Dixon, Amos Chapman, and four enlisted men with dispatches to carry to Camp Supply, Oklahoma. Along the way, the men were surrounded and besieged by a large combined band of Kiowa and Comanche warriors near Gageby Creek in present-day Hemphill County. Holing up in a buffalo wallow, they held off the Indians for three days. An extremely cold rainstorm the last night discouraged the Indians, and they broke off the fight; every man in the detail was wounded and one soldier was killed. For this action Billy Dixon, along with the other survivors of “The Buffalo Wallow Fight”, were awarded the Medal of Honor. Just a few months later, he was present at the rescue of the German sisters from the Cheyenne Indians on McClellan Creek on November 8, 1874. He was with the party that selected the site of Fort Elliott in the spring of 1875 and was attached to that post for duty when he guided the Nolan expedition in pursuit of the Comanche warriors in August, 1877. His knowledge of the country saved the command when he led the men to water at Double Lakes on the Llano Estacado. Dixon returned to civilian life in 1883 settling in Hutchinson County, Texas, where worked on the Turkey Track Ranch. He built a home near the site of the original Adobe Walls, planted an orchard and 30 acres of alfalfa that he irrigated from Bent’s Creek. When a post office was established at Adobe Walls on in August, 1887, he became the first postmaster. In addition, he served as a state land commissioner and justice of the peace for the area around Hutchinson, Gray, and Roberts counties. He and business partner, S. G. Carter, also operated a ranch-supply store. 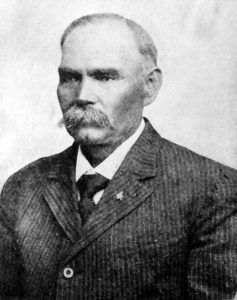 Dixon served as postmaster until 1901, when he was elected as Hutchinson County’s first sheriff. He resigned shortly afterwards, disgusted at the political strife aroused in connection with the organization of the county. On October 18, 1894, he married Olive King Dixon of Virginia, who for three years thereafter, was the only woman living in Hutchinson County. They would eventually have seven children. In 1902, Dixon moved to Plemons so that his children could attend school. 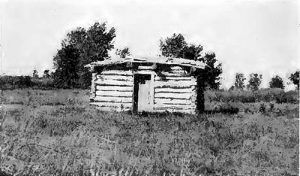 However, small-town life proved irksome to the former scout, and in 1906 he went to homestead in the open spaces of Oklahoma Panhandle. Billy Dixon in later years. During his last years Dixon reportedly lived near poverty, and friends tried to obtain a pension for him. On March 9, 1913, he died of pneumonia at his Cimarron County homestead. He was buried in the cemetery at Texline by members of his Masonic Lodge. However, on June 27, 1929, his remains were reinterred at the Adobe Walls site. Personal artifacts from his scouting days are housed in both the Hutchinson County Museum in Borger and the Panhandle-Plains Historical Museum in Canyon.